I’m pleased to present a guest article by journalism student Marc Vincent. The subject is the naming of Meyerasaurus, a topic that links in quite nicely with a previous post. Marc produced the article for his university course. The quotes from myself are the result of an interview Marc conducted as part of the project. I reproduce his article here as a slightly condensed version, enjoy! “In a German museum sits a remarkable fossil with an equally remarkable history. The exquisitely preserved remains on display in the Staatliches Museum für Naturkunde in Stuttgart belong to a plesiosaur – more specifically it is one of the short-necked pliosaurs, a clade (Pliosauroidea) that included the famous forms Kronosaurus and Liopleurodon. Mounted on the wall, its intricate underside exposed for all to see, sits Meyerasaurus victor – 3.35 metres long and dating from the Toarcian age of the Early Jurassic (180-175 million years ago). Until this year however the animal wasn’t known as Meyerasaurus at all. 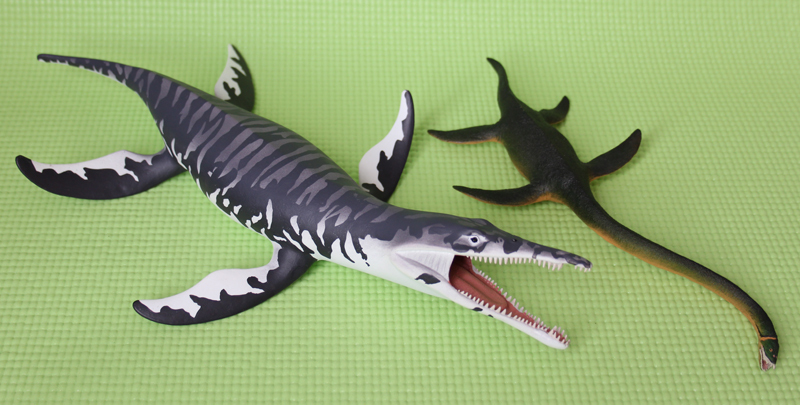 For decades previously it was known as ‘Rhomaleosaurus’ victor, having thought to have been in the same genus as other, British pliosaur species since the 1960s. Before that it had been known as ‘Thaumatosaurus’ victor for fifty years. The generic name ‘Thaumatosaurus’ was coined by the German palaeontologist Herman von Meyer, but was based on inadequate material. The British palaeontologist Richard Lyddeker later referred the Stuttgart pliosaur to the genus, which he considered to be the senior synonym of Rhomaleosaurus. However, it is rather likely that he simply rejected the name Rhomaleosaurus without consideration as it had been devised by Harry Seeley, a rival of his. 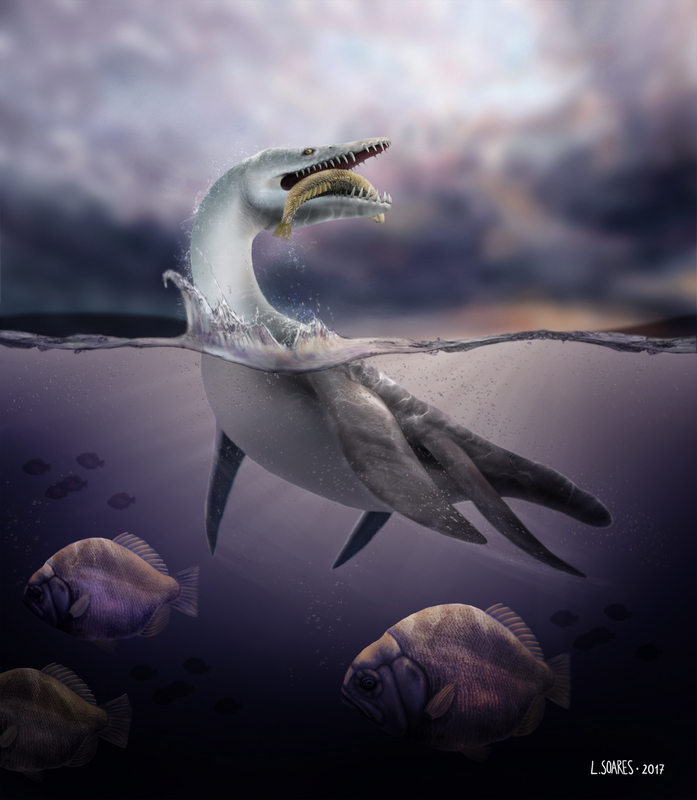 The referring of the Stuttgart pliosaur to ‘Thaumatosaurus‘ was innocently cemented by the German palaeontologist Eberhard Fraas when he described the specimen in 1910, following Lydekker’s work. The name ‘Thaumatosaurus‘ is today considered a nomen dubum but is still associated with the Stuttgart specimen in the minds of many palaeontologists – thanks to Fraas’ influence. Unfortunately such a chequered history is common in the nomenclature of fossil animals. In the 19th and early 20th centuries, experts’ thoughts on what constituted a genus, or an order, were very different, so much so that almost every plesiosaur found was casually assigned to the genus Plesiosaurus (in the same way that countless predatory dinosaurs were assigned to Megalosaurus). Today, palaeontologists are slowly fixing the taxonomic muddle left behind by their forebears. Dr Adam Smith, now Natural Science Curator at Birmingham’s Thinktank science museum, worked alongside Dr Peggy Vincent on a paper (four years in the making) that formally assigned the former ‘Rhomaleosaurus’ victor to the new genus Meyerasaurus. Meyerasaurus is named after Herman von Meyer, who originally described the specimen. However, there is also an extinct lizard named Meyasaurus, and a dinosaur named Maiasaura, and they all sound remarkably similar when read aloud. 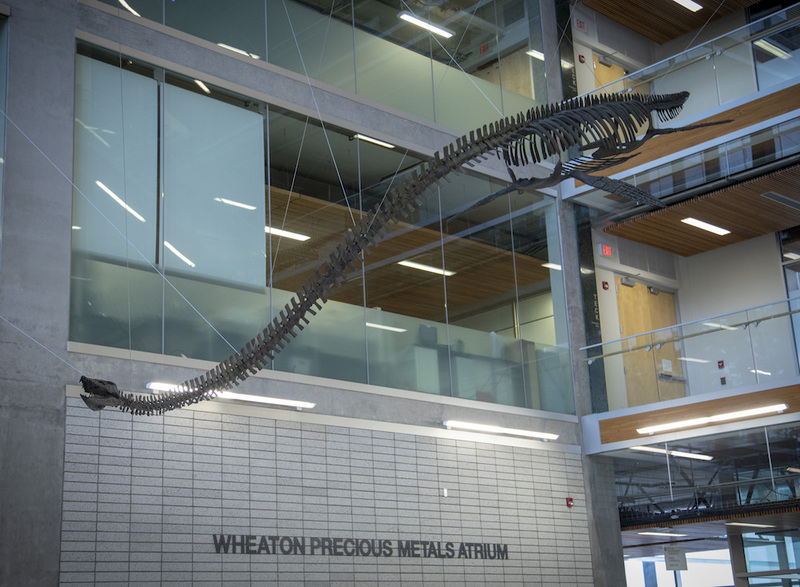 Adam wanted to reinstate ‘Thaumatosaurus‘ with ‘Thaumatosaurus’ victor as the new type species, but he was barred by ICZN (International Commission on Zoological Nomenclature) rules. “The specimen has always historically been associated with the name ‘Thaumatosaurus’ and I’d have liked to reintroduce that name to avoid as much confusion as possible. If you say ‘Thaumatosaurus‘ to most palaeontologists they won’t think of the type specimen, they’ll think of the ‘Rhomaleosaurus’ victor,” he says. In 2008 the journal Naturwissenschaften published a paper authored by Adam and Dr Gareth Dyke that included a fresh cladistic analysis of Rhomaleosaurus and related genera in the Rhomaleosauridae. They found that the genus Maresaurus separated the true Rhomaleosaurus species, including Rhomaleosaurus cramptoni, and what was then called ‘Rhomaleosaurus’ victor. This was a problem as it made the genus Rhomaleosaurus paraphyletic, that is it united animals that didn’t belong together in a single genus, as they were too different. In addition to ‘Rhomaleosaurus’ victor, ‘Rhomaleosaurus’ megacephalus was also found to not be a true Rhomaleosaurus species. Clearly these animals required new generic names, and it was this that inspired the latest paper and the naming of Meyerasaurus victor. What exactly Smith and Vincent determine to be the diagnostic characteristics of Meyerasaurus are laid out in full in the paper. They include the proportions of the limbs relative to the head and body – a graph in the paper dramatically illustrates the considerable difference in the relative lengths of the humerus and skull in Meyerasaurus and true Rhomaleosaurus – and also characters of the skull and palate. Put simply, “[Meyerasaurus] has much larger limbs and a smaller skull relative to the body.” In addition, there are important details of the skull and palate bones (often used for diagnostic purposes in pliosaurs due to their frequently very incomplete remains) that, to Adam, indicate that Meyerasaurus deserves separation from Rhomaleosaurus. With the reassigning of ‘Rhomaleosaurus’ victor to Meyerasaurus, there is no longer any overlap in plesiosaur genera in Early Jurassic Germany and Britain. This raises the question – why not? It is accepted that the region was united during the epoch, as it was almost completely underwater. It may have been a yet unknown geographical feature that kept these fauna separate – or they may have simply been separated in time.